> Macro Algae>Green Macro Algae>Chlorodesmis Sp. This macroalgae might be in the early growth mistaken for an unwanted type of hair microalgae, but is actually a very beautiful macroalgae addition for the marine aquarium. It will often grow from a single holdfast and form bright green clumps. By buying this product you can collect up to 8 loyalty points. Your cart will total 8 points that can be converted into a voucher of £ 0.16. This macroalga contains a toxic substance to deter fishes from eating it, this might affect as well the growth of close corals. It will attach itself after a while to rock. Whitish parts of it should be removed as they are decomposing. These macroalgae prefer not too high levels of Nitrate and Phosphate and will grow better with the additional supplement of Iron, Magnesium and Trace elements. As it is a calcified macroalga a sufficient Calcium level should be maintained. 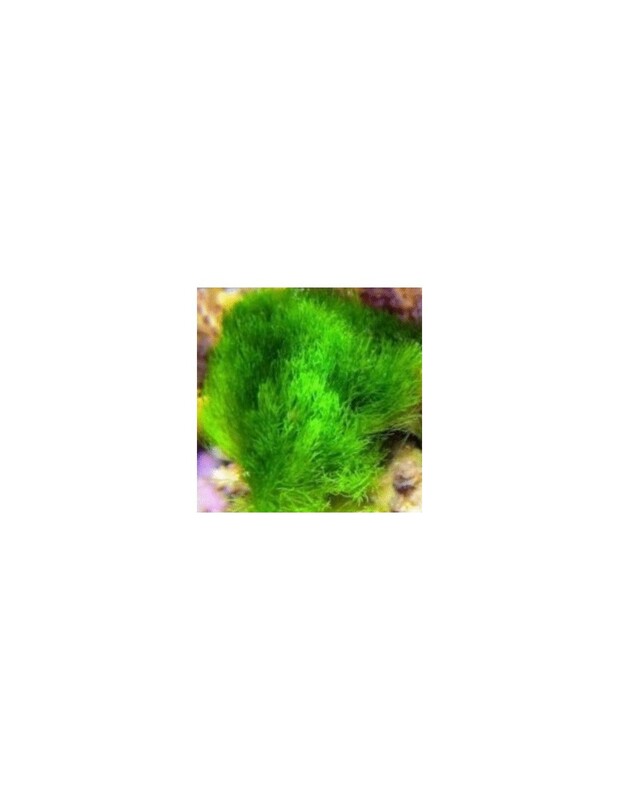 Our macro algae are from fish free macro algae tanks, although we use sometimes pictures for demonstration purposes only which will include fishes, seahorses and or corals. We do our best to quarantine, treat and remove any unwanted hitchhikers, parasites etc from our macro algae but we can not guarantee that the algae are completely free of anything unwanted, not limited to Copepods, Rotifers etc. This is simply because that sometimes eggs, spores, etc can remain viable but not visible and hitchhikers can still stay hidden, especially in dense algae structures, despite our strict quarantine efforts. All macro algae will be thoroughly dipped in a professional solution to deactivate hitchhikers as good as possible before posting. If you don't want this, please send us a message together with your order. We highly recommend nonetheless that you properly quarantine anything new before adding it to your marine tank. We aim to offer you the healthiest and best quality macro algae on the market, therefore, all of our macro algae comes with a 100% Satisfaction Guarantee. The images on this page are for example only, actual product appearance may vary. 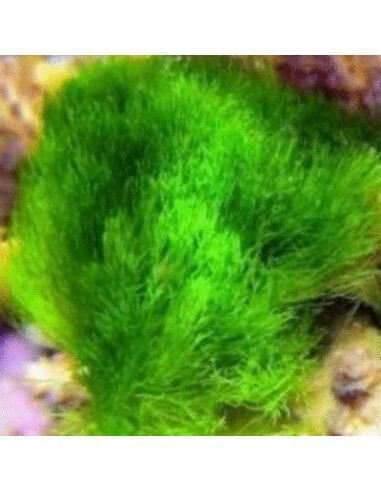 Path: Home > Macro Algae > Green Macro Algae > Chlorodesmis Sp. We are sorry for the delay. We will inform first via our newsletter once it is ready to sell again. Have you signed up already for it? If you have any further questions don't hesitate to contact us again.